When you picture a beachside Miami residence, you probably think of a relaxing space with beautiful designs. The bright atmosphere and clean lines add to the luxurious feel of the home. This particular home features a multilevel deck. 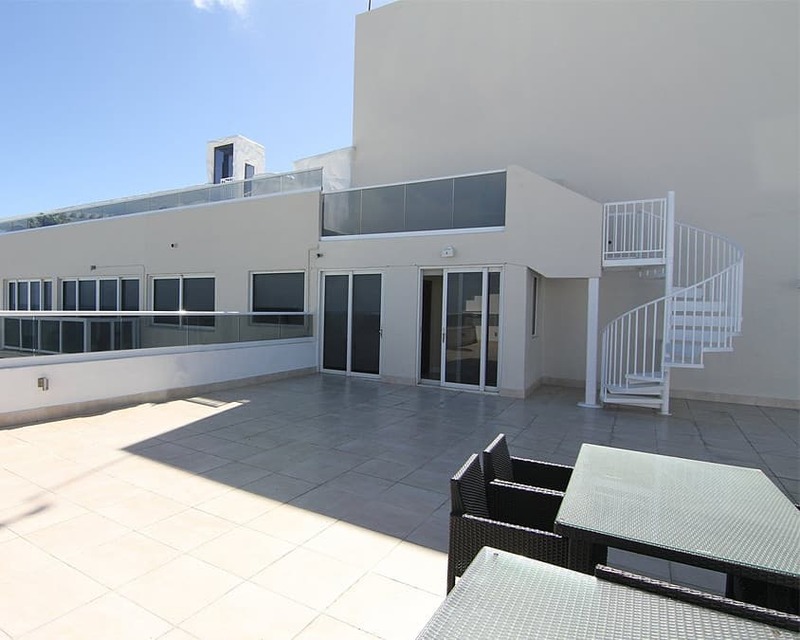 Each floor offers a different ocean sunrise view and potential for various social activities with your friends. But these different floors still need to be connected and easily accessed. You want a stair solution that will enhance your outdoor space, and not weight down the bright and airy look you created. 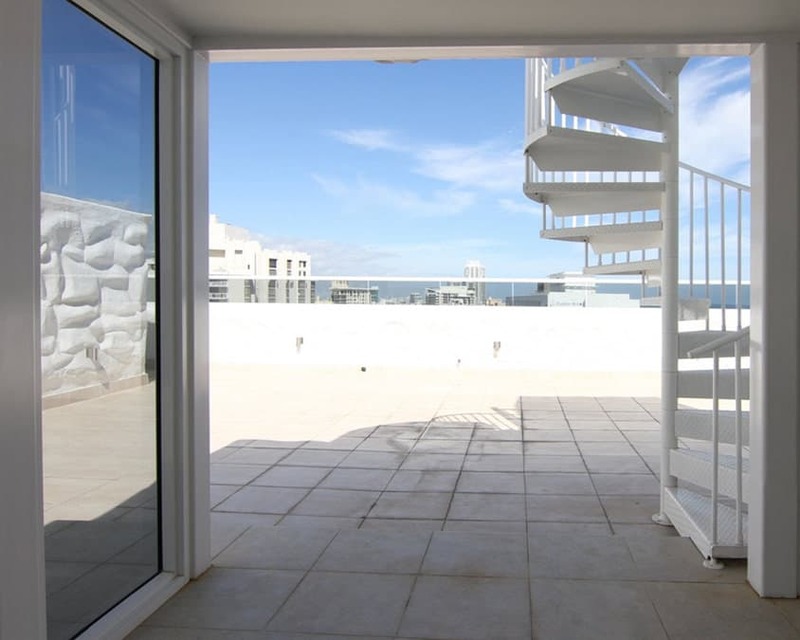 Ms. Ossa found herself with a multi-terrace Miami penthouse and in need of a way to connect them that highlighted the seaside beauty. 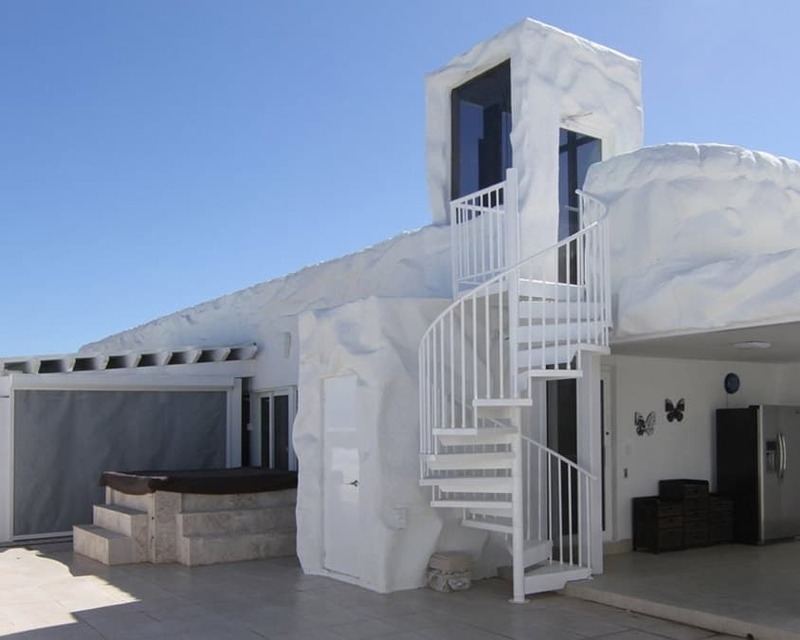 She wanted an outdoor staircase that complemented the existing design. 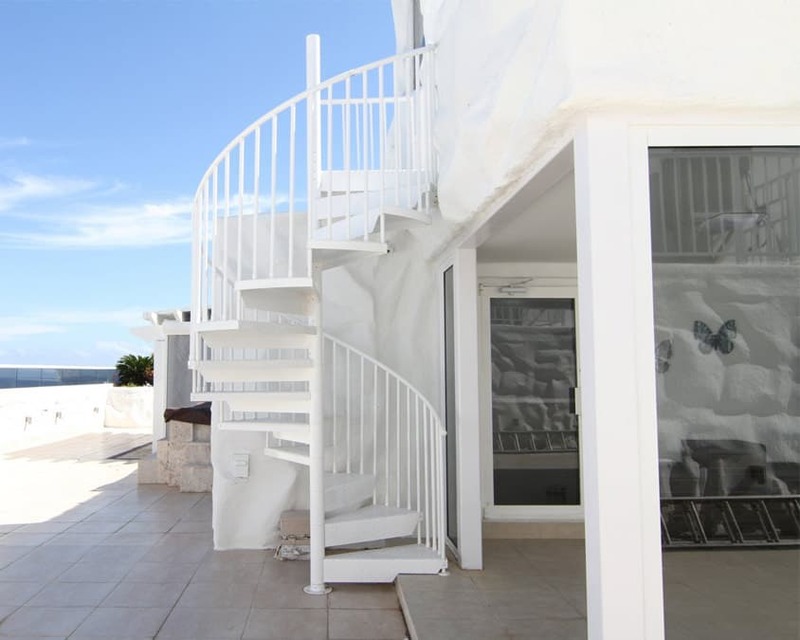 Ossa had three floors to connect with two stairs to use the space for relaxing and outdoor entertaining. Through the word of trusted friends, Ossa discovered that Salter Spiral had just the look she needed in a pair of stairs. 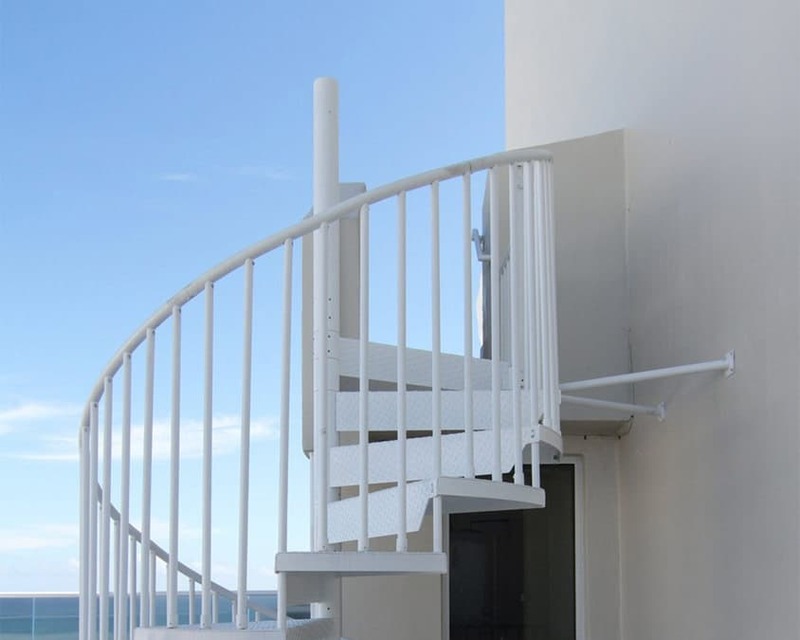 An Aluminum Deck spiral stair was the answer to Ms. Ossa’s need for a beautiful and sleek stair solution. The naturally rust resistant aluminum features a maintenance free powder coating finish making it the perfect choice for a seaside home. The clean white finish highlighted the beauty of the stair’s surroundings. Ms. Ossa installed two spiral stairs in her outdoor space and can now easily navigate between the different areas of her deck. 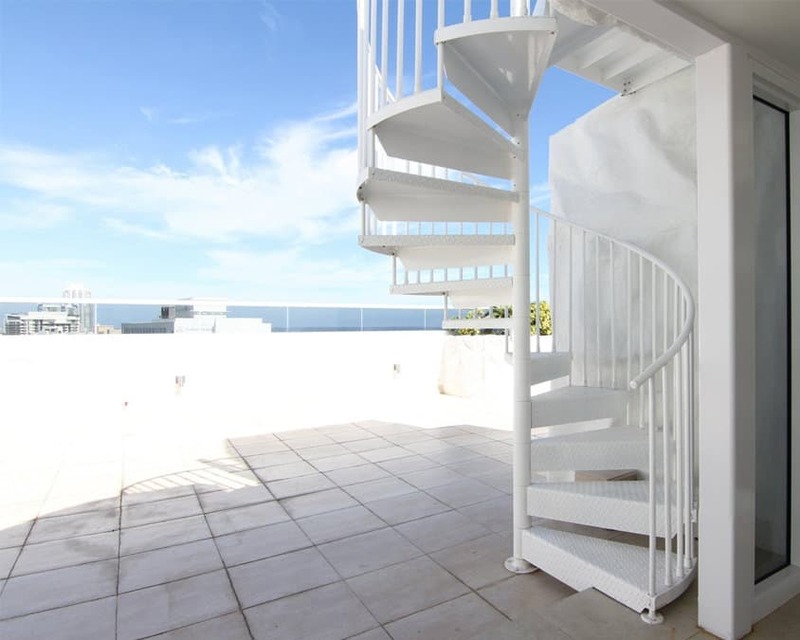 Salter spiral stairs offered the durability to stand up to the seaside environment without sacrificing any beauty. Our Aluminum Deck Spiral Stair is the perfect solution traveling from your deck to your backyard. The lightweight stair is made of aluminum, a durable material that is naturally rust prohibitive. This alone makes the Aluminum Deck collection the ideal choice for your outdoor needs.